Mike Riley is a contributing editor to Dr. Dobb's. He can be contacted at [email protected]. Technologists and consumers alike have been waiting years for "the ultimate media convergence appliance". Numerous attempts have strived to attain this coveted dream device but none have yet captured the gold medal. While TiVo were probably in the best position early on, their market position has been usurped by cable and satellite companies building timeshifting into their signal conversion boxes. Apple gave it their best shot with AppleTV. While that device has Apple UI polish and pizzazz, its functional limitations have constrained its market penetration to niche enthusiasts. However, the common thread with all these past attempts is that they are closed, proprietary delivery platforms that discourage their customers from tinkering, customizing and sharing modifications and improvements with other device owners. This myopic view of customers has given open media device vendor Neuros an entry into this race. The Neuros LINK is essentially a quiet x86 PC running Ubuntu Linux with an ATI graphics card delivering video via VGA, DVI, and HDMI output. MythTV and general Linux enthusiasts may shake their heads wondering what is so special about the Neuros. After all, such power users have been running Linux in their living rooms for years. At first pass, this is a valid assessment. What makes the LINK such a compelling platform for these folks and Linux/open source developers in general is the recognition that a real business entity is stepping forward to spend the money necessary to market and commercialize what tech enthusiasts have been doing for years. Like the early days of homebrew computing, it wasn't until small computer company startups like Apple and Microsoft came along to validate the computer market did such a market blossom beyond the basement. To help sprout the NeurosLink to a tech-savvy media convergence seeker, Neuros has seeded the developer community with a special "gamma edition" of the Neuros LINK. This early adopter device is designed to visualize the possibilities while at the same time giving a reference design for coders seriously interested in writing their own media convergence applications to give back to the community. Since the NeurosLink is built on an open source software stack, community mods can run on any compatible Linux distribution. 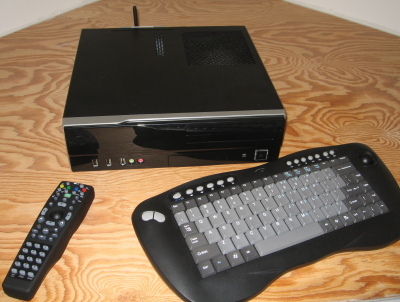 However, given the form factor, screen real estate and wireless keyboard and remote interaction model do the subtle nuances of smart set-top boxes can be understood and appreciated. The LINK hardware is pretty much what one would expect from a Linux computer. Running on a AMD Athlon LE-1660 CPU with graphics powered by an ATI Radeon HD 3200 video card, the LINK ships with 1 GB DDR2 SDRAM that can be expanded up to 8GB (although the 32-bit version of Ubuntu that Neuros is using can only support up to 4GB), audio processed by the Realtek ALC1200 chip, and plenty of ports, ranging from HDMI and DVI for video output, 8 USB 2.0 ports, external eSATA and firewire ports and 6 audio ports. 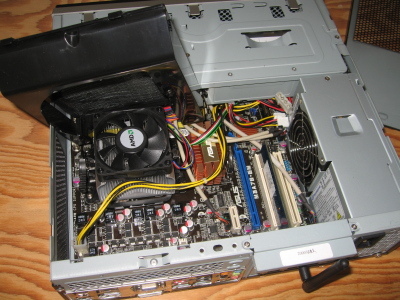 Figure 1: The LINK's compact ASUS motherboard houses the AMD processor and fan, several memory and expansion slots, power supply and space for additional SATA and CD/DVD-ROM drives. 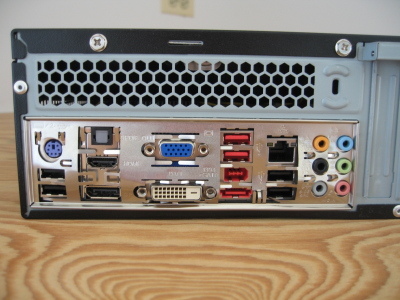 Figure 2: There are plenty of ports on the LINK, making it very media interface-friendly. While the unit can function from the OS loaded on the USB thumbdrive, it's ideal for gamma developers to take advantage of the internal PATA and 5 SATA storage device interfaces to install their own hard drives for local storage of multimedia files, Linux program installs, customizations and more. In addition to the standard Ethernet port, the LINK comes installed with an 802.11 g/b WiFi card for easy placement in an unwired living room or family room. The LINK can be controlled via the wireless keyboard with a built-in trackball, or via a separately purchased handheld remote. The ebony case housing the electronics is roughly 12x3.5x13 inches (WxHxD), though with the wireless USB keyboard receiver plugged into one of the USB ports on the back of the LINK, along with the power, Ethernet, HDMI or DVI cables plugged into the back, one should account for another 2 to 3 inches of shelf space. Figure 3: The Neuros LINK includes a wireless keyboard with built-in trackpad. A handheld remote is available separately. The gamma currently arrives pre-installed with Ubuntu 8.10, though Neuros plans to upgrade to version 9.04 in the commercial version. Neuros recommends holding off on upgrading the gamma unit to 9.0.4 until they have fully tested this version of the OS before pulling the upgrade trigger. The Neuros distribution is preloaded with all the audio/video codecs necessary to view the various popular media formats, ranging from AVI, FLV, MP3, MP4, OGV and others that the installed MPlayer, VLC and Xine open source video players support. Check out the Neuros LINK Wiki for a more comprehensive list of the LINK's technical specifications.